You've been sick for a few days now and think you might have a respiratory infection. Your throat is scratchy and sore. You're sniffling and sneezing, and your eyes are teary. You feel achy, fatigued and miserable. Should you go to your physician and request an antibiotic? Going to see your physician when you feel sick is always a good idea; however, chances are that you don't need that antibiotic. Antibiotics can kill bacteria (bacteriocidal) or slow their ability to multiply (bacteriostatic). The first antibiotics discovered were natural products of molds and other organisms. Infections that once killed untold millions could finally be cured and came to be considered minor and treatable. Newer, laboratory-synthesized drugs have joined the ranks of antibiotics effective against a wide variety of bacteria. Bacteria are microscopic organisms found throughout nature. They can live inside or outside the human body; some are even beneficial and necessary for good health. Others, however, are "pathogenic" and they cause infection and illness. These bacteria are responsible for a whole host of human respiratory infections, including some sinus and ear infections, certain kinds of pneumonia and strep throat. Viruses are even tinier than bacteria. When you get a viral infection, viruses invade your body's cells, using your cells' machinery to help make more and more viruses. These viruses are responsible for the flu, the common cold and many types of sore throats, coughs, ear infections, bronchitis, and even pneumonia. Unlike bacteria, viruses are not killed by antibiotics. Why Can't I Take an Antibiotic 'Just in Case'? There are big problems with the cavalier use of antibiotics. When bacteria are exposed to an antibiotic, while many are killed, subsequent generations of others may develop characteristics that allow them to resist being killed. While the antibiotic kills off the weakest bacteria, antibiotic resistance allows the stronger, resistant bacteria to continue multiplying. The eventual result can be "superbugs," which are very hard to kill and may only succumb to extremely powerful antibiotics. Such antibiotics pose a greater risk of significant adverse effects that may require hospitalization and are much more costly. Some superbugs go on to cause devastating and even fatal infections that are incurable with current antibiotics. How Can I Tell If My Symptoms Are Due to a Virus or a Bacteria? This distinction can be tricky; that's why it's worth a visit to your doctor. 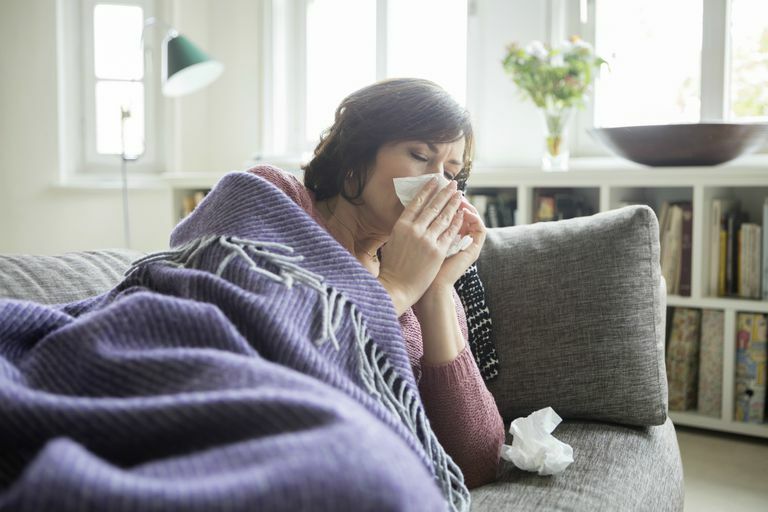 Most virally caused colds and other upper respiratory infections will produce a wide variety of symptoms, such as a sore throat, sniffles, cough, and achiness. Bacterial infections often cause a more focused area of misery, such as a severely painful ear or an extremely sore throat. Some of the signs (like thick, green mucus) used to be thought of or suggested the presence of a bacterial infection, but this is no longer believed to be accurate. Viral illness usually abate after a week. Illnesses that last more than 10 days or that grow suddenly worse after five to seven days may have evolved into a bacterial infection. People with underlying lung problems (such as asthma or chronic obstructive pulmonary disease) or other chronic illnesses may be more prone to bacterial infections and should seek a professional opinion sooner. How Can I Help Prevent Superbugs? Practice good hand washing to avoid becoming ill or passing an illness on to others. Get a yearly flu vaccination. If you become ill, talk with your physician about whether your illness is more likely caused by a virus or bacteria. Don't insist on an antibiotic; ask your physician why you do or do not need one. If you do need an antibiotic, make sure you take it as directed; don't stop the medicine just because you begin to feel better. Not taking the entire prescription may allow resistant bacteria to thrive and not be completely killed off. Remember: Don't ever take someone else's antibiotic, and don't give yours to anyone else either. Prescription medications are never meant to be shared. "Antimicrobial (Drug) Resistance: Quick Facts." Niaid.nih.gov. Jan 2009. National Institute of Allergy and Infectious Disease, National Institutes of Health. "Bacteria Vs. Virus." Aware.md. Alliance Working for Antibiotic Resistance Education. "Get Smart: Know When Antibiotics Work." Cdc.gov. Aug 2008. Centers for Disease control. Ong, Samuel, Janet Nakase, Gregory J. Moran, David J. Karras, Matthew J. Kuehnert, David A. Talan, and the EMERGEncy ID NET Study Group. "Antibiotic Use for Emergency Department Patients With Upper Respiratory Infections: Prescribing Practices, Patient Expectations, and Patient Satisfaction." Annals of Emergency Medicine. 50:3: (2007):213-20. Wong, David M., Dean A. Blumberg, and Lisa G. Lowe. "Guidelines for the Use of Antibiotics in Acute Upper Respiratory Tract Infections." American Family Physician. 74:6(2006): 956-66.